Gov. Greg Abbott is putting the pressure on the Texas House to pass his special session agenda. 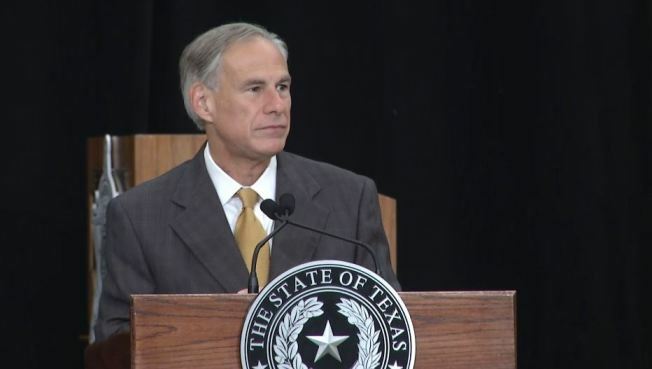 Abbott spoke Monday at the annual conference for the Sheriffs Association of Texas in Grapevine before returning to Austin, where the special session is in its third week. The Senate has sped through Abbott's agenda, already passing 18 of the 20 items. NBC 5 political reporter Julie Fine asked the governor Monday what he realistically expected the House to do. "I expect the House to devote the same type of energy and commitment that the Senate did. Listen, the Senate was able to pass 18 of my 20 items in, what, seven or eight days. There is plenty of time for the House to get these items passed. If they don't pass it, it is not because of a lack of time. It's because of a lack of will," Abbott said. But getting items through the House may not be as easy as the Senate. "Some of those items didn't pass in the regular session because they did not have a lot of support. I don't see it differently this time," said State Rep. Chris Turner, D-Tarrant County, leader of the House Democratic Caucus. House Speaker Joe Straus has become the Republican voice against Senate Bill 6, or the so-called "bathroom bill." Some Texas-based companies have lined up against the legislation, as did some members of law enforcement last week in Austin. "People need to understand what the bill says before they come out and speak on it. It makes no sense really for law enforcement to come out against it, because there is not a role for law enforcement to play," Abbott said Monday. "This enforcement of this law is done by the attorney general, and it's a civil action and not a criminal issue. So what I urge is for everybody just to step back calmly, look at what the bill actually says before they cast some misguided judgment." There are just two-and-a-half weeks left in this special session, and the governor was asked whether he would call another one if his items don't get through. "Listen, I am working every single day to make sure we get all 20 items passed," Abbott said.